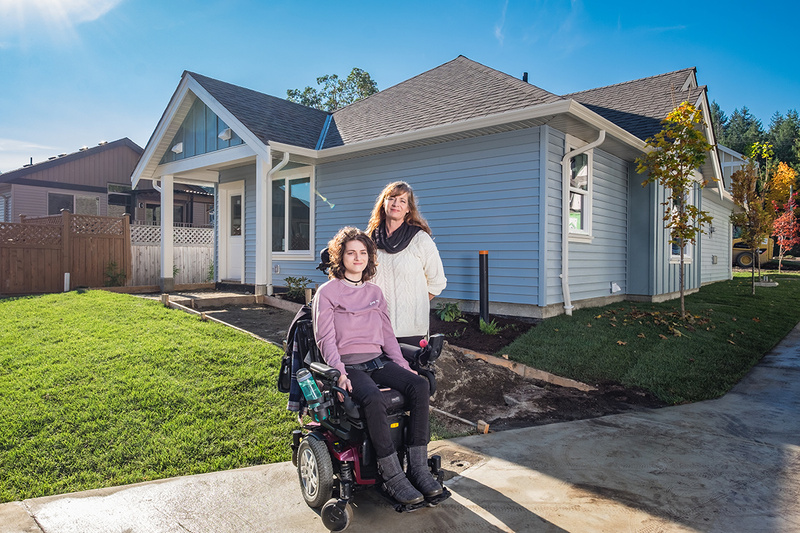 "To be chosen for this house means my daughter, who has a neuromuscular disease called Friedreich's Ataxia, can move around freely in her power chair. This house will let my daughter LIVE again and there are no words I can say on how very, very grateful I am for that." Phase 3, Unit 5 and 6 Groundbreaking ceremony took place on May 3, 2017. Unit 5 is a two-bedroom disability-accessible house. Pam and her daughter Kaitlyn were selected as the future homeowners. 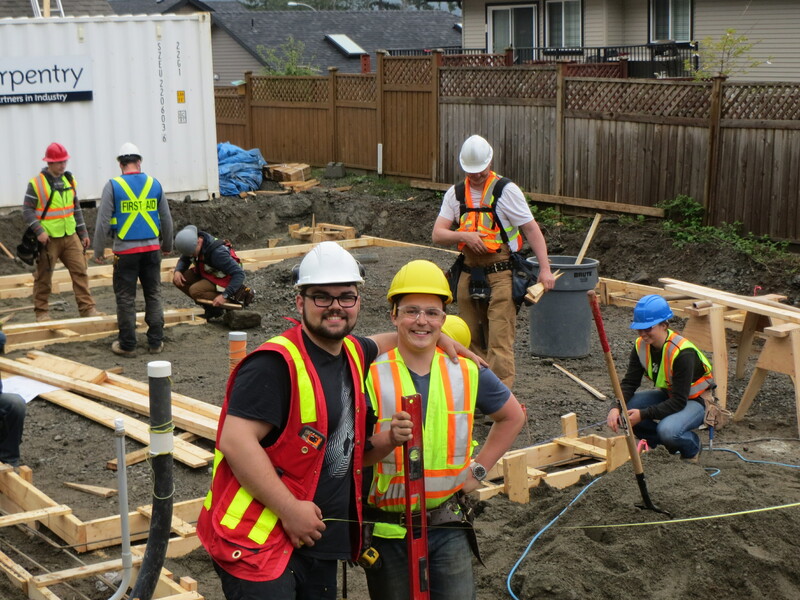 Habitat for Humanity Mid-Vancouver Island is extremely excited to be building our first disability-accessible home. Our vision is a flagship accessible home which will facilitate freedom, independence, and comfort for our future homeowners. Accomplishing this objective will involve making substantial upgrades. 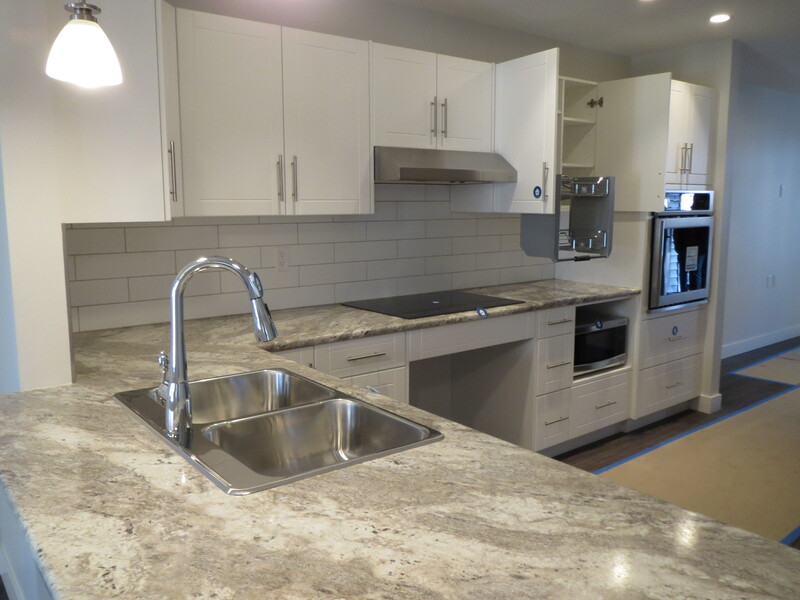 Some of the upgrades include: a ceiling-mounted track system which allows smooth transitions from bed to chair to facilities; custom height switches and outlets; wheelchair accessible sinks, cooktops and work areas; touchless faucets; accessible bathroom facilities and appliances; and electronic home controls. 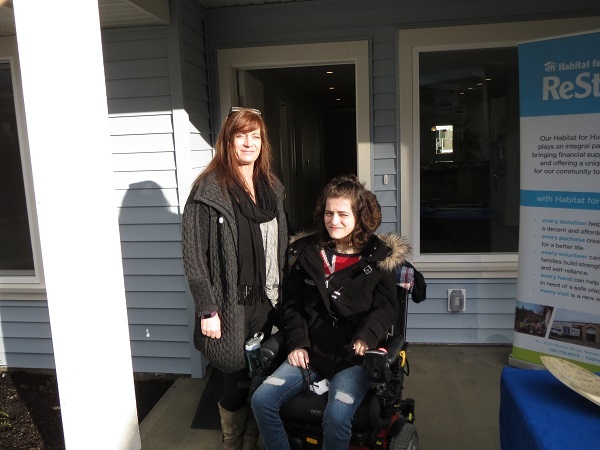 Pam and her daughter Kaitlyn standing at the door of their future Habitat home at the Dedication Ceremony. Pam and Kaitlyn are now working on their 500 sweat equity hours. The completion for the Unit 5 house was December 2017.